Complete program taught by Dr. Bauman that provides physicians and other licensed medical professionals with a comprehensive practical overview of the latest science-based, patient-centered hair loss management protocols to help both male and female patients effectively slow, stop and reverse hair loss progression. Hair loss treatment therapies are expected to keep growing through 2026 as the number of men and women increases based on population trends (aging population), knowledge of treatment options (patient education), growing discretionary income, and the emphasis by newer generations on their outward appearances. Hair loss amongst men is about 58% and with perimenopausal women there is a 25% chance of hair shedding. The psychosocial issues associated with hair loss has real importance tp patients who are actively seeking treatments and solutions. Though many forms of hair loss have a hereditary component it does not affect the newer forms of prevention and treatment that give correction and reversal of hair loss in both men and women. Develop a thriving non-surgical hair clinic, or practice. This is not your typical training program. Empire has collaborated with Dr. Alan Bauman of Bauman Medical, our top physician trainer and surgeon, and also with Cheryl Whitman, CEO of Beautiful Forever Consulting who is a nationally renowned practice consultant in Hair Restoration (as well as Aesthetic and other specialties) to provide you the most complete training in Hair Restoration Medicine. Our objective is to help you develop a lucrative practice while ensuring you have the best skills for ongoing success. Empire has fully accredited the program for Category 1 CME Credits. Hair restoration medicine has become one of the most lucrative specialties in medicine, and is relatively simple to integrate into an existing practice. With the newer technologies and treatment protocols available, hair restoration can be achieved using various treatment options. In addition, the Bauman Medical research team has developed many effective, proprietary treatment protocols which have proven efficacy. These protocols will be shared with you. In addition to the medical protocols, participants will receive detailed training in the pricing and the business aspects of this program. This is a highly effective program for patients that is also financially rewarding to physicians. Empire’s accredited CME program will not only provide you with hands on training and medical knowledge, but also will give you a step by step business and turn key program to develop your non-surgical hair clinic. Our hair restoration program utilizes the traditional fee for service business model, as well as a system for collecting ongoing, passive revenues through the sale of medically necessary medicines and supplies for hair maintenance. 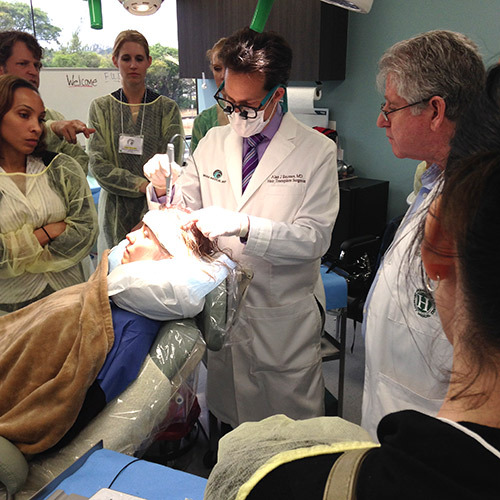 You will also learn and be given the rights to use the “Bauman HairCoach™ System” in your practice. This system can be integrated into your own practice or developed as a free-standing center. In addition to a full day of intensive training, Empire and the Bauman Medical team provide follow up support and consultation to make sure you are successful in your new practice. As part of this educational program, you will receive the entire “Aesthetic Medical Success” System developed by Cheryl Whitman, CEO of Beautiful Forever. This program has been used for many years by the ASPS (American Society of Plastic Surgery) to assist in training their member physicians in the business of medicine. The program is normally sold for $2,499; however, will be provided as a complimentary program for participants for a limited time. Please check with an Empire representative at the time of your registration as to the availability. Ongoing consultation is available upon request and for a separate fee. Understand the incidence, physiological mechanisms and psychological impact of hair loss, as well as the size and scope of the field of hair restoration as part of the aesthetic industry as a whole. Identify, evaluate and treat different hair loss conditions. Utilize time-tested, clinically proven hair growth treatment protocols to help patients reach their hair restoration goals. Quantify and track hair follicle function by obtaining and interpreting highly accurate HairCheck™ measurements and other scientific evaluations for diagnostic purposes, results monitoring and treatment compliance. 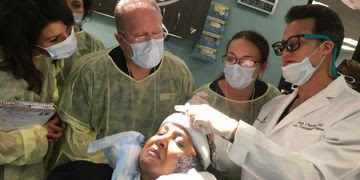 Learn proper patient selection as well as critical-to-quality preparation protocols and application techniques for the use of Platelet-Rich Plasma or PRP with placenta-derived Extracellular Matrix or ECM in the non-surgical treatment of Alopecia Areata (autoimmune hair loss), Androgenetic Alopecia (hereditary male or female hair loss) and other hair loss conditions when appropriate. Attain a thorough understanding of the different types of medical hair loss treatments, including FDA-approved medications and medical devices, custom compounded pharmaceutical therapies, cell therapy, nutraceuticals, and minimally-invasive procedures that are currently available for hair regrowth. Understand the role of hair transplantation and medical grade hair replacement in patients with significant hair loss and other conditions. Gain insight into future therapies, treatments and innovations that will impact the industry in the next five to ten years. Expand a medical practice by helping patients who are suffering from unwanted hair loss by enhancing and improving their appearance, self-image, as well as their overall well-being. 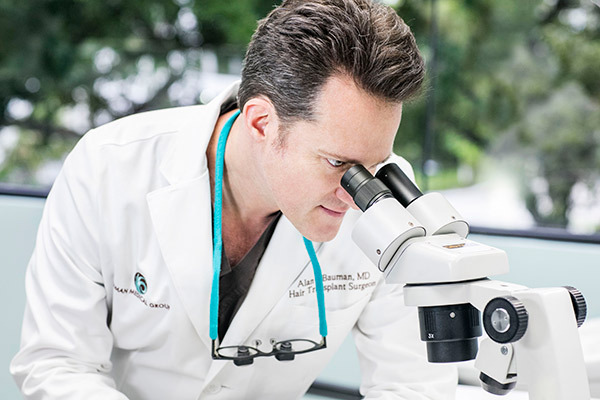 On an individual basis, along with receiving the necessary diagnostic tools and access to proven protocols to identify, evaluate, track and medically manage hair loss in both male and female patients, the participant will also gain a comprehensive practical overview and direct exposure to the latest surgical procedures to effectively and undetectably reverse hair loss by permanently restoring their own living and growing hair. Dr. Bauman is a full time hair transplant surgeon who has treated over 17,000 patients and performed over 7,000 surgical procedures since 1997. 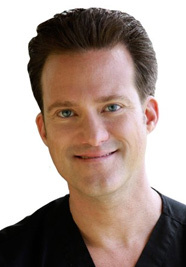 Dr. Bauman is highly sought after for his expertise and experience by patients and celebrities from around the world. Dr. Bauman is 1 of only 100 physicians worldwide to achieve the certification from both the esteemed American and International Boards of Hair Restoration Surgery (ABHRS). Your training will be directly with Dr. Bauman and the staff at Bauman Medical . Founder and CEO of Beautiful Forever Aesthetic Business Consulting, has, for more than three decades, been the internationally recognized pioneering leader in the challenging field of aesthetic business development and marketing consulting – working with hospitals, spas, anti-aging centers and physician practices to achieve dramatic results. Beautiful Forever guides and supports corporate clients, technology innovators, aesthetic and cosmetic physicians and surgeons – as well as med spa owners, providers and managers – as they dream up and create new businesses. We help them launch successfully and continue working with them to help the profitability of their business grow. 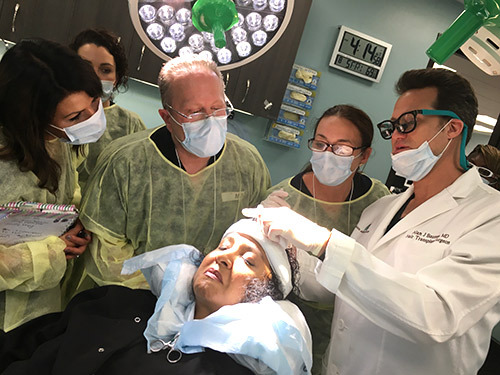 Learn the entire Bauman Medical approach to non-surgically managing Hair Loss, including the proprietary “HairCoach™” program. Receive all the Bauman Medical administrative forms that are used for their medical protocols as well as for business and marketing. Access to all Administrative and Product Forms including program updates and other promotions. Understand the various hair loss services including marketing and promotion. Receive access to Video & FAQ Library for training and patient use. Introduction to other hair restoration and transplantation services including FUE Neograft, ARTAS Robotic-Assisted Procedures including other types of treatments; eyelash, eyebrow and facial hair transplantation procedures. Contact Empire Medical Training at 866-366-1576 to set up your training. Empire members receive special pricing and preferential scheduling. No more than 5 trainees may be scheduled for training during the same training session. Training days are limited so we suggest you set up your preceptorship as soon as you are ready.